i will be having a sale over in my etsy shop starting on black friday and running all the way through cyber monday. 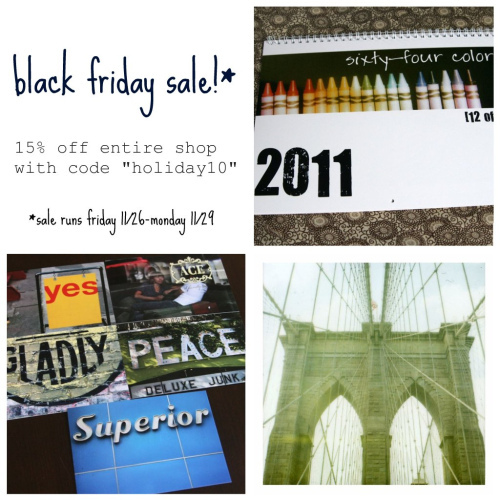 enjoy 15% off all calendars, postcards and prints with coupon code "holiday10". enjoy!